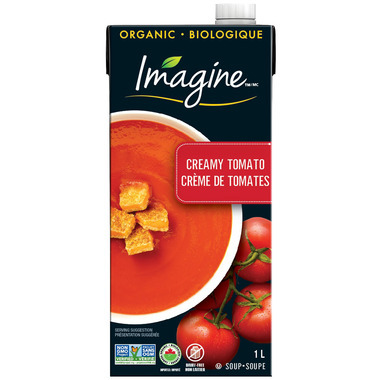 Imagine Foods products are made with real, wholesome ingredients such as the finest farm-grown vegetables – with no artificial ingredients or preservatives. Imagine Foods never compromises on what they bring to you so you can serve the very best. Ingredients: water, organic crushed tomatoes, organic onions, organic rice syrup, organic celery, sea salt, organic rice flour, organic safflower oil, organic spices.